ss2/15 OTP 2/21. An exceptional opportunity! Priced WELL under city assessment/ and under $200/sq ft. One of the best and safest neighborhoods in the city. 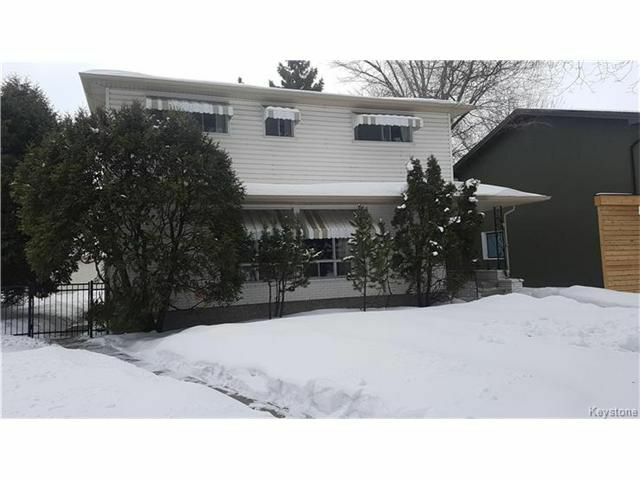 Close to all River Heights schools and parks. Across from Taylor Tennis club and Re-Fit. Double garage and back parking pad. Big green lot at the center of a bay. 4 big bedrooms, 3 baths (en-suite), Huge eat in kitchen, Living room dining room combo, large Den, main floor laundry, and full basement with office and another former bedroom. Multiple upgrades to the NON cosmetic: Furnaces (2) & Air con (2013);roof (2007);fascia/soffit (2013); fencing (2009);landscaping;front sidewalk. 80% of millionaires became so through real estate. Get in on the main floor! Call the River Heights expert realtor today!